White is the buzzword in interior color trends, but this is not news. White has been a huge trend for at least 5 years, and is still going strong. I’m not talking about purist white on white minimalism here, in fact I would say that kind of look is waning, it only ever looked good in glossy photos anyway. The white/fresh trend is evolving to embrace more eclectic and collected vibes with vintage, global and organic elements balancing its purity. The other neutrals and colors are getting paler, closer to white. These barely- there super-pales are softer than white and more forgiving, like grey. Because of its versatility, the grey/fresh trend is not going away anytime soon, either, and with white as a popular classic right now, these super pale neutrals and pastels complete the current range. They are all backdrops for fresh, crisp and airy, whether paired with fresh brights, grounding organics, or contrasty darks. I’ve been saying it for a while now, these are the neutrals that offset color, and there is a lot of bold color in interiors right now. On the flipside of the pale trend, dark moody rooms in hunter green, plum and peacock are still hot. What’s losing ground are those murky mid-tone greys, tans, greyed out blues and greens that have been the conservative staples of the last couple of decades. 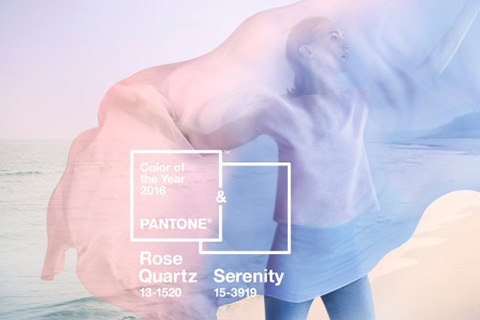 Indigo and blues in general will still be going strong in 2016. This color manages to be both fresh and clean and deep and moody, and is easy and fun to work with. It adds depth to otherwise white or neutral spaces or creates a rich backdrop or compliment for other on trend colors such as soft warm pinks, jewel tones and analogous blues and greens. Pink is huge and will continue to be in 2016. It is being freed of its excessively feminine connotations and making appearances everywhere as a modern and sophisticated palette staple. One subtle shift I have been seeing is towards warmer, richer, even earthier colors in decorating. Olive greens, seventies golds and russets are being combined in fresh and inventive ways with cool blues, whites, greys and pastels. What’s different about the new iteration of earth tones is that they are here to ground all of the cool, clean and crisp elements we have been installing in our fresh modern white and grey spaces. 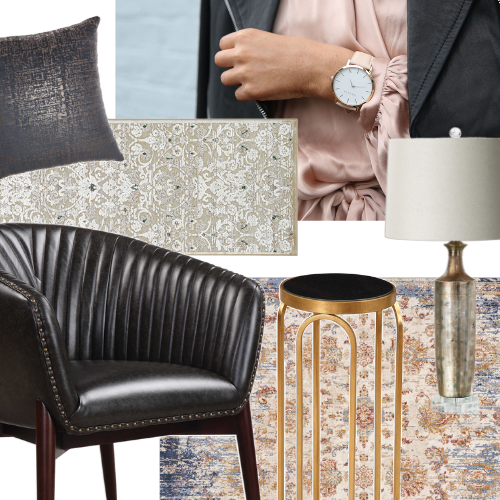 This trend is closely related to our recent fascination with brass and gold metals, warms to balance cools. No longer would you combine brown or olive walls with gold or rust accents as we would have in the Tuscan trend, now you would pair an olive velvet settee with pale blue grey walls and brass side tables or pumpkin orange dining chairs with a white oak dining table and pale creamy walls. The overall feel is fresh with some old world stability. Cognac leather is a new classic and is a part of this new way of using earth tones. As is the use of other organic materials such as sisal, grass cloth, hide, unvarnished wood and stone. Rattan furniture and lamp shades, cozy luxurious organic textures and knits place an emphasis on craftsmanship and the handmade. Modern is no longer limited to harsh lines, shiny surfaces and minimalism. Of course there will continue to be those that push to the outer limits of the cool and fresh trend. For these adventurous souls, blues will get cooler more towards periwinkle and yellows will trend towards lemon again. One of the most exciting things about this moment in color trends for decorating is that color is here to stay for a while so mix up your favorites, embrace contrast, texture and drama, bold is the way to go. Maria Killam is an internationally sought after color expert, design blogger, author, trainer, decorator and stylist. She is passionate about all things color and design, subjects she writes about extensively on her blog, Colour Me Happy. Nominated for the 2015 WithIt Education Award, Maria has recently been published in Style at Home, Canadian Living, Better Homes and Gardens and Dabble. Her work has been featured in The Washington Post, Apartment Therapy, HGTV and House Beautiful among other publications. Her work won the best of Houzz awards for design and service in 2014 & 2015. Maria is also the author of the best-selling eBook, How To Choose Paint Colors - It's All in the Undertones and the soon-to-be released eBook, White is Complicated - A Decorator's Guide to Choosing the Right White Every Time. To get more of Maria's expert advice, visit her website at www.mariakillam.com.